Citizen science is a growing trend across the globe as concern for the environment intensifies and people search for ways to mitigate the harmful effects of climate change, extinction, and habitat loss. 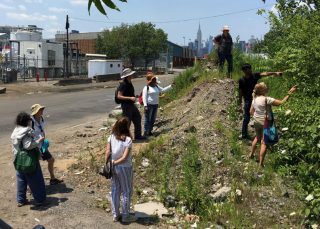 A well-informed and engaged community is essential to conserve the indigenous flora and habitats of New York City. The most populous city in North America has many stakeholders and challenges to address. Reminding the public that plants are the foundation for life on Earth and that protecting them is important is central to the mission of The New York Botanical Garden. 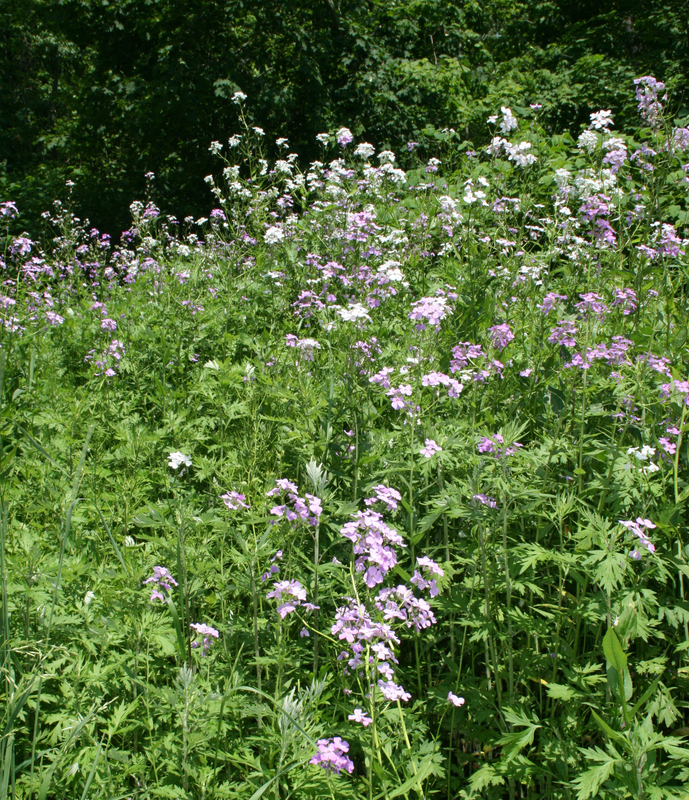 It is also a key component of the New York City EcoFlora project. Early in the development of the project, it was recognized that citizen scientists could not only help collect important data on the distribution and dynamics of the City’s plant species, but as active participants, they would also learn about the ecology of the City and be more effective stewards and advocates for nature. Scott A. Mori is the Nathaniel Lord Britton Curator of Botany at the The New York Botanical Garden. His research interests are the ecology, classification, and conservation of tropical rain forest trees. His most recent book is Tropical Plant Collecting: From the Field to the Internet. Xavier Cornejo, a former Research Assistant at NYBG, is a curator of the GUAY Herbarium at the University of Guayaquil, Ecuador. His main research interests are the taxonomy of Neotropical Capparaceae and the conservation of mangroves and terra firme forests in western Ecuador. Viola liliputana is as small as a penny. Photo of violet on penny by H. Ballard. Each year the Institute for Species Exploration of Arizona State University selects 10 species from among the estimated 18,000 new species of plants, animals, or fungi as the most interesting published in the previous year. In 2012, 140 species were nominated and only two of those selected were flowering plants—a miniature violet named Viola liliputana from the Peruvian Andes, and a species of the Myrtle family, Eugenia petrikensis from Madagascar. We are especially pleased to see the violet selected because we know both of the authors: Harvey Ballard, now an Associate Professor at Ohio University, and Hugh H. Iltis, former Director of the Herbarium of the University of Wisconsin and research mentor to our research and Ballard’s alike. Hugh collected this spectacular violet nearly 50 years ago and was so impressed by the miniature high Andean plant that he took copious notes about the species, which was published in Brittonia by Springer for The New York Botanical Garden. We take this opportunity to recognize the accomplishments of Hugh Iltis in conservation and botanical science, and to thank him for the role that he has played in our careers. Ghillean T. Prance showing the underside of a leaf of the Amazon water lily. Photo by S. A. Mori. The waters of the Amazon fluctuate as much as 45 feet in years of heavy rainfall, meaning plants growing along the river are alternately subject to flooding in the wet season and dry soils in the dry season. To tolerate these extreme habitats, some Amazonian plants have evolved adaptations to both situations. 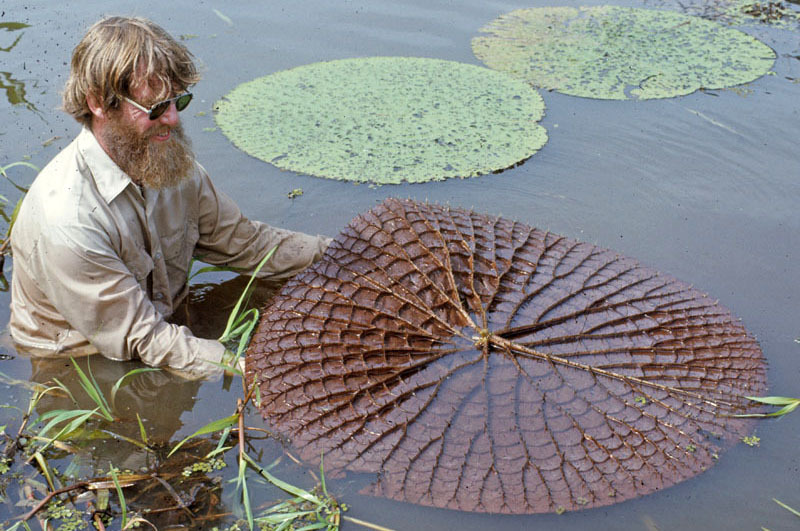 A perfect example is the Amazon water lily (Victoria amazonica), which has adjusted its annual life cycle to the rise and fall of the rivers by growing rhizomes and new leaves from seeds, flowering at high water, fruiting as the water recedes, and surviving low water levels as seeds—each one surrounded by an impervious seed coat that protects against desiccation. A recent graduate from Pelham Memorial High School, Owen Robinson worked as a volunteer Forest Intern at the NYBG in the summer of 2012. He will begin as a freshman at the University of Virginia this fall, where he hopes to continue his pursuit of science research as a part of the Echols Scholar Program. Last summer I conducted a project to determine whether or not invasive trees are negatively impacting aquatic macroinvertebrate populations. Aquatic macroinvertebrates are small, invertebrate insects that play essential roles in their ecosystems, acting as an energy bridge between outside plant life and the rest of their aquatic environment. They do this by breaking down tree leaves. Invasive trees are an established and worsening problem in our region, one that impacts plant biodiversity as well as some mammalian and avian populations. As little research has been dedicated to my particular focus, I wanted to determine whether the leaves from these invasive trees were less beneficial to aquatic macroinvertebrate populations than the leaves of native trees. If this proved the case, there would be reason to work harder against the takeover of invasive plant species. 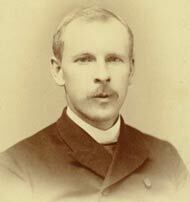 Thomas Andres is an Honorary Research Associate with The New York Botanical Garden. As a botanist, my idea of paradise is to have an identification tag appear on every plant that I or anyone with me does not recognize. At The New York Botanical Garden we enjoy what is about as close as you will get to that paradise. I am so thankful for those who perform the monumental task of labeling the plants in the Garden, even including the cultivar names on the labels where applicable. 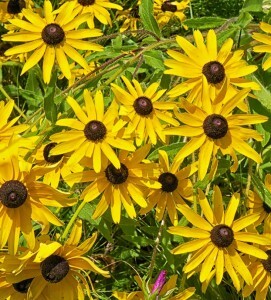 Cultivar names (as in cultivated varieties) are those names that appear in single quotes following the scientific (“Latin”) name of the species. If you see an “x” in the name, that means the plant is an artificial cross by plant breeders between two species. The scientific name consists of two parts: the genus and the species name, with only the genus name capitalized. But in the case of cultivars, sometimes only the genus name is given because the species is not clearly delineated. Rusby, his health still failing, is calm and collected when confronted by bandits. But efforts to get to a lower, warmer altitude are proving difficult. Additionally, the expedition supplies arrive but with a heavy price tag. In between the struggles of securing mules for the trip out of the mountains, paying for a botched shipping job, and battling the effects of dysentery, Rusby manages a few moments to sample the local flora, hopeful of the arrival of proper drying equipment. Last night was not only most uncomfortable, owing to the cold, but I became anxious about my poor lung condition. It was a great relief when morning and sunshine appeared, yet I felt very bad and a little discouraged as to my future. After breakfast, with strong coffee and a little strychnine, I felt somewhat better, but the slightest physical effort caused me to gasp severely for breath. Altitude and cold weather continue to plague Rusby, who decides to travel ahead to warmer climes, but must pass through even higher and colder mountains to do so. He is helped along the way by the Guggenheim mining company, providing him with many comforts in the inhospitable mountains. But the survival of the expedition is in jeopardy, as the supplies have not yet arrived. This has been a very important day for us. I rose after a night of much discomfort from my cold and remained in the house all day. I wrote a long letter home and partially straightened out my accounts and brought my journal up to date. We have today made our final arrangements about our journey from here to the Boopi, and it appears that there are some unpleasant complications which will render this transaction less favorable than we had anticipated. Mr. MacCreagh had virtually committed himself to send our cargo by a contractor over a different route than the favorable one provided by the Guggenheim Company. It now transpires that we must carry out this arrangement, sending most of our freight directly by mule to Canamina, at a cost of about $3.50 American money per hundred pounds, and going ourselves with a small outfit by way of Eucalyptus and Pongo. The freight did not arrive in time for any work at repacking today. 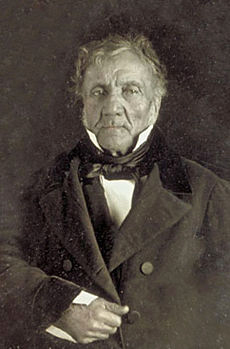 Aimé Bonpland, the author of the scientific name of the Brazil nut. In our continuing discussion on botanical taxonomy, we now delve into the discovery of the Brazil nut and explain where it fits into the plant kingdom. But don’t be mistaken—when I say “discovery,” I am referring to the scientific naming and classification of the species rather than the first physical discovery of the plant by humans. Nearly all economic plants were discovered and given common names long before scientists became aware of them. 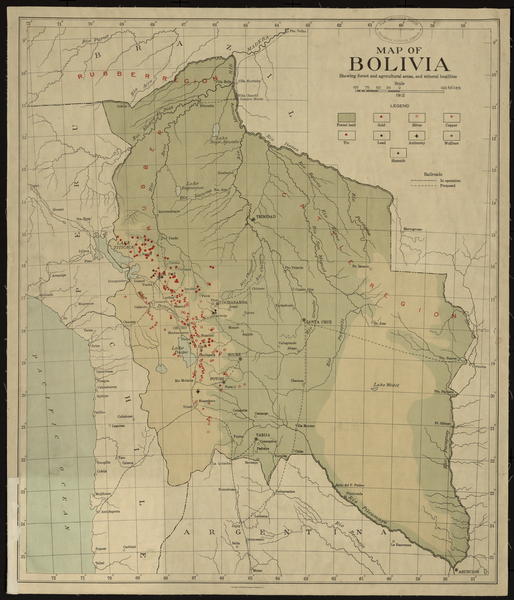 As part of their travels to the New World (between 1799 and 1804), the German scientist Alexandre von Humboldt and the French botanist Aimé Bonpland traversed the Rio Orinoco, making natural history collections and observations along the way. At one point, they subsisted for three entire months on rancid chocolate and plain rice alone. Fortunately, these explorers came upon Brazil nut collectors, allowing them to feast on great quantities of Brazil nut seeds. They were also impressed by the magnificent tree itself, and so interested in obtaining its flowers that Humboldt offered an ounce of gold to any one of the collectors who could find and retrieve them—an impossible task, as fruiting Brazil nut trees were not in flower. Nevertheless, the expedition made collections of the leaves and fruits, and Bonpland described the species as Bertholletia excelsa Bonpl. Although the authorship of this species is sometimes attributed to both Humboldt and Bonpland, it is clear that the latter is the author of the scientific description and name for this species. Bonpland dedicated the genus to Claude Louis Berthollet, a chemist who, along with Antoine Lavoisier, developed a system of modern chemical nomenclature. As Rusby and his expedition move deeper into Peru and Bolivia, the daily trials of traveling abroad mingle with fleeting moments for discovery along the way. Rusby’s fascination for all things scientific leads him to the Arequipa Hospital, where he examines ulcer patients, before taking the railroad into the mountains toward Juliaca. In between snatching up passing flowers from a train railing, struggling with altitude sickness, and sleeping through a near-death experience on the steamship, he finds time to identify the local flora, along with fruits and vegetables in city markets. I made a number of purchases of things which will be needed on our expedition. I went to the market and purchased a number of samples of vegetable products and also three pairs of fully dressed figures of Quichua indians, each accompanied, the age of the later varying from infancy to eight or nine years. In the afternoon I secured an automobile and went down to Tiavaya, where the market gardens were located, charging this expense to the Botanical Garden. Here I found growing the fruiting plants of a pepino, having oblong fruits, wholly of a deep purple color like the eggplant. 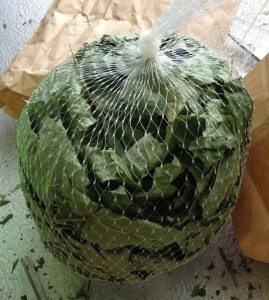 I also found and obtained specimens of a species of Tasconia, which yields an edible fruit sold in the market under the name of “Tumbo“; of a plant yielding another edible fruit, sold in the market under the name of “Acchocta”; of the rhacache, a delicious turnip-shaped root belonging to the parsley family, a species of Arracacia, and some unripe fruits of the Lucuma. In the evening I attended the motion picture exhibit, which was so silly that I left before it was over. 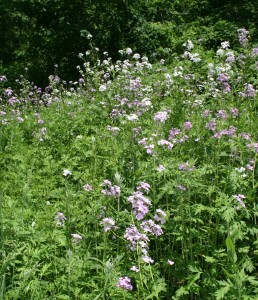 A population of dame’s rocket with individuals of both lavender and white flowers. Last week I discussed how the scientific names of plants change because of the law of priority. This time around, I explain how names change due to differences in species concepts, leaving the question of “what is a species” for future posts. 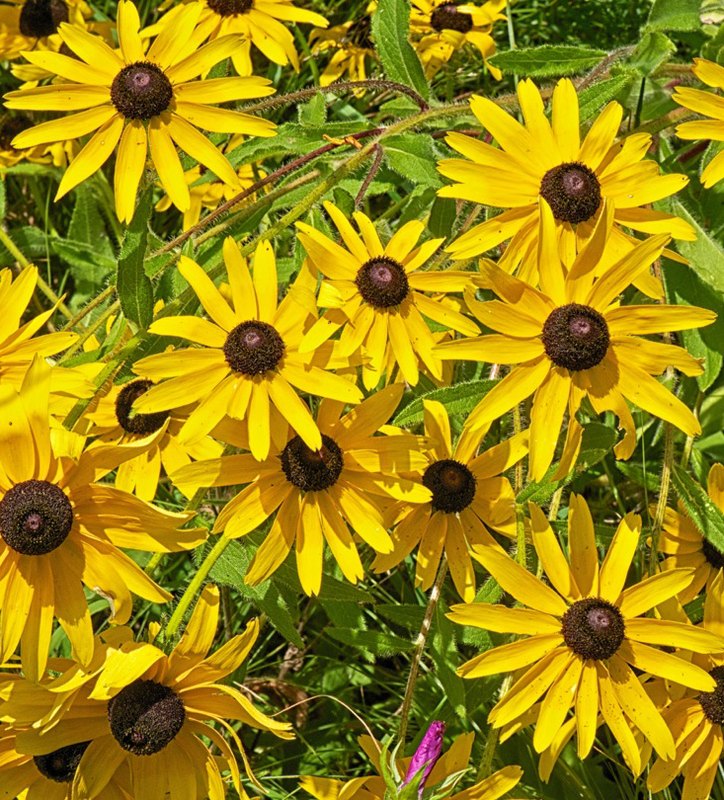 For now, all you have to know about this complex topic is that a species is a population of plants that plant taxonomists recognize as being different from other populations. In addition, a useful species concept is one in which the morphological and molecular characters used to circumscribe species are also apparent to non-botanists. For example, non-botanists should be able to identify one species from another based on character differences. In simplest terms, botanists are classified as those who recognize relatively small differences in plant populations as distinct species (splitters), versus those who consider certain kinds of variation to be normal within a species (lumpers). Many animal species include considerable variation in their circumscription as evidenced by the recognition of humans, dogs, and cats as single species. Generally speaking, zoologists have broader species concepts than botanists with the latter tending to split species more than the former. 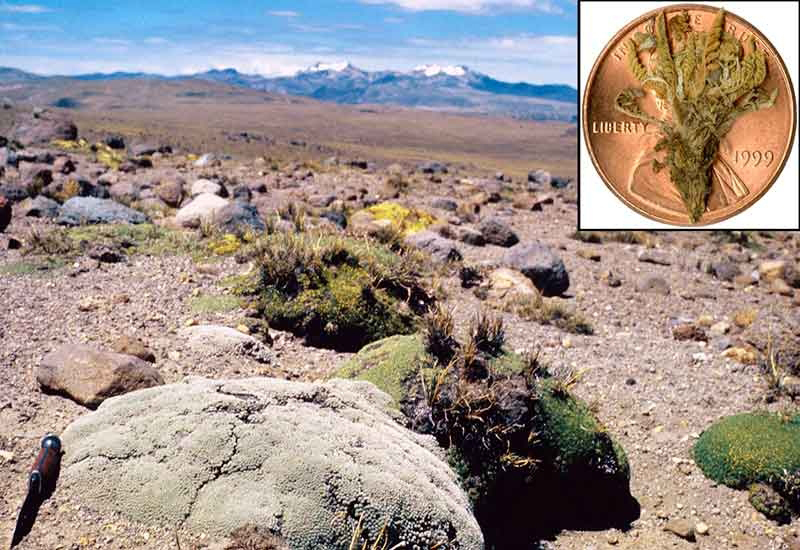 Botanists with different philosophies about splitting and lumping may cause name changes.